Specialty: This service offers specialties like free memory of 3 GB, office applications, mails, calendars, photo editing software, movie player, special sidebar, user friendly interface and full screen format. 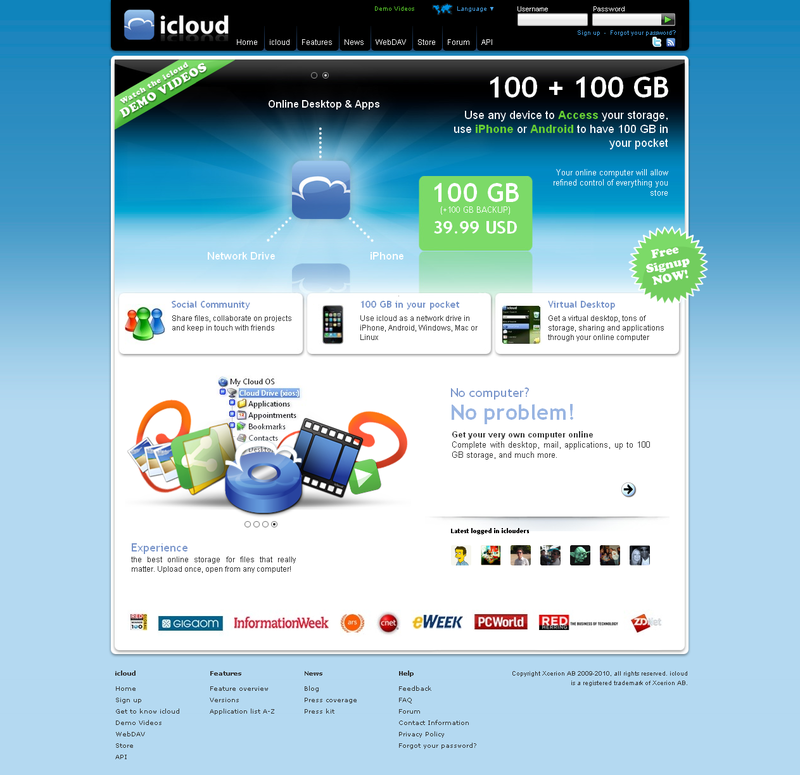 Use icloud in this way…..
Icloud web top will appear as soon as the user gets logged in. To run this service, Java is essential. Image finder is present to search the uploaded images. Music files can be played using iplay. Cinema files can be played using Movie tool. There is accessibility to additional softwares like Money Manager, Todo, Radio, Balanced Scorecard and Word converter.